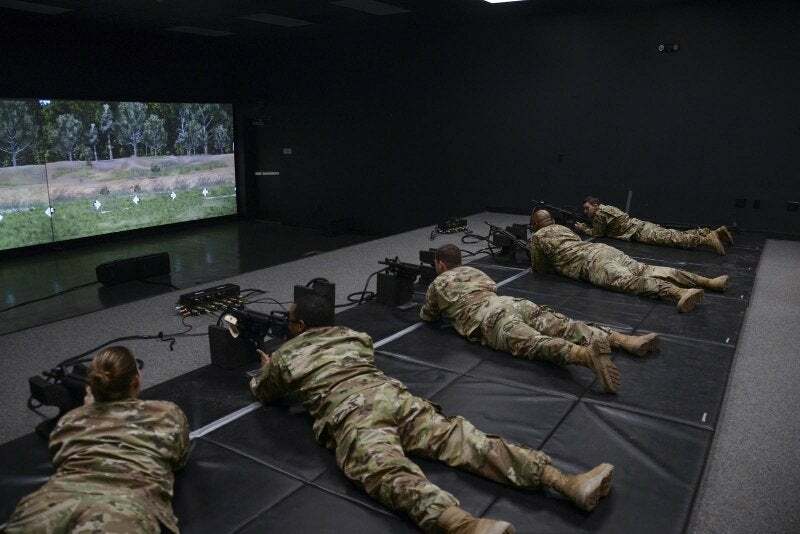 The EST II is a virtual simulation trainer that is designed to assist and improve a Soldier's basic fundamentals of marksmanship. Credit: Sgt. Noshoba Davis.